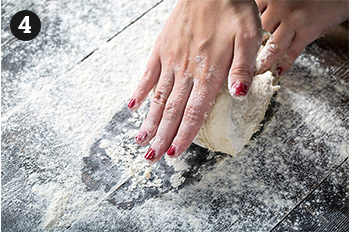 Sprinkle the work surface with flour to ensure the dough doesn’t stick to the surface. 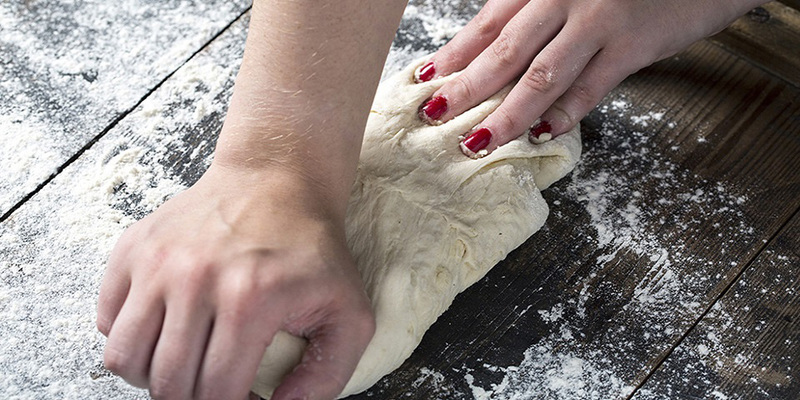 Press down on the dough with your fingertips about a quarter of the way up. 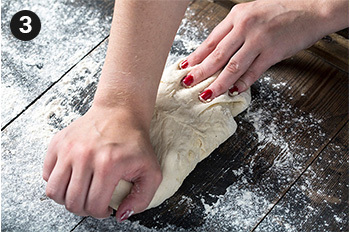 Then, in a smooth motion use the heel of your hand to press the dough down and away from you. Cup your hand and scrape the dough back on top of itself and turn it 90 degrees clockwise. Continue this action for approximately 10 minutes until the dough is smooth and springy. There should be no lumps left in the dough, it should have a smooth finish. 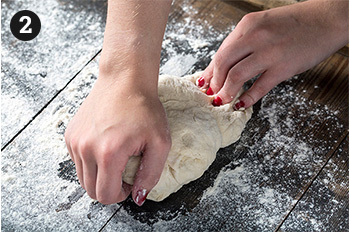 Shape the dough into a ball and using a floured finger press into the side of the dough. If the dough springs back it is ready. Alternatively, you can do the window pane test. This method involves taking the dough and holding it up to a light, if you can see the light through the membrane of the dough, it is ready.